Fearing international repercussions and criticism, Israeli Prime Minister, Benjamin Netanyahu, decided to shelve a report prepared by former Supreme Court Judge, Edmond Levy, as the report calls for “legalizing” Israeli settlement outposts in the occupied West Bank as they, allegedly, are “part of the state of Israel’. Israeli daily, Haaretz, reported that the report Netanyahu decided to bury, does not only call for legalizing settlement outposts, but also allows easier expansion of existing “legal” Israeli settlements in the occupied Palestinian territories. The report was submitted to Netanyahu on June 21. 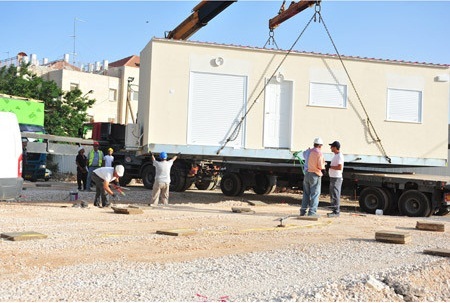 The ministers decided that the settlers should be evicted, but the army, as the building's “custodian”, is supposed to improve and maintain the structure. They also decided it should be rented out to the Jewish community of Hebron, with the army holding the rent money in a trust fund until the building is returned to the Palestinians. The Israeli Court is yet to render a final decision on the matter. Israel protested yesterday night, in front of the European Union headquarters on its decision not to provide customs facilities for 'Modi'in' Israeli settlement and another nearby settlements, claiming that these settlements are located outside territories occupied in 1948. The Israeli Foreign Ministry said that Modi'in settlement and the two nearby settlements in Modi'in Maccabim-Re'ut, a city in the Centre District of Israel, were constructed in an area considered an integral part of Israeli territory and there is no doubt about its future. The Israeli Foreign Ministry accused the EU for cutting negotiations with Israel regarding the customs facilities, and for publishing a list of the boycotted Israeli cities and villages on the internet. The European Union has added the town of Modiin-Maccabim Reut near Ben-Gurion International Airport to its list of settlements whose export products are ineligible for tax breaks. Its inclusion stretches the EU’s boycott area westward and cuts into Israel’s narrow coastal strip. Israel says the EU’s unilateral definition of “the State of Israel” is in breach of signed trade contracts and in any case unacceptable. The town of Modiin was established on a strip of land designated “no-man’s land” in the post-1948 Arab-Israel war armistice. The European Union has added the Modi’in-Maccabim-Reut municipality to a list of settlements whose products can not receive tax breaks, Israeli media reported Tuesday. Israel's Haaretz newspaper said the municipality, which is located in a so-called "no man's land" straddling a strip of land between Israel and the West Bank, will no longer be recognized as inside Israel. The designation is noted for tax purposes under a free trade agreement with the EU. The main front page article of Tuesday’s issue of al-Hayat al-Jadida Arabic newspaper featured a decision by the Israeli municipality of Jerusalem to build 12 skyscrapers in East Jerusalem. 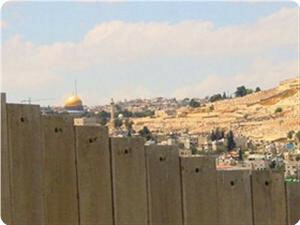 The daily said Jerusalem Planning and Building Committee approved on Monday the plan to build the massive constructions at the southern entrance of East Jerusalem. The intended cost of the project amounts to over $2 billion. Al-Quds daily reported on threats by Israel Electric Corporation, the main power supplier in Israel, to cut off electricity feed to Jerusalem District Electricity Company that supplies Jerusalem, Ramallah, Bethlehem and Jericho, due to accumulated debt. A statement issued by a Hamas leader addressed to Egypt’s leadership appeared on al-Ayyam’s front page. Minister of interior in Hamas government said the siege and restrictions on the Gaza Strip during post revolution Egypt is the same as during former President Hosni Mubarak’s regime. Al-Quds’ front page picture featured Dalal, wife of long-term Palestinian prisoner Ammar al-Ziben who has been incarcerated for 14 years, holding her newborn son. Ziben smuggled his sperm to perform in vitro fertilization, setting a precedent in the history of the Palestinian prisoners’ movement. The dailies printed photos of the funeral for the victims of the car crash that killed 11 Palestinians near Tulkarm. Israeli occupation forces (IOF) expanded the boundaries of Nevi Daniel settlement built on land of El-Khader village, south of Bethlehem, where they confiscated new Palestinian land and blocked access before its owners. The coordinator of the Counter-Segregation Wall Committee, Ahmed Salah, said that a military barricade erected on Daniel's settlement has been moved 400 meters deep into Palestinian lands while a security control room was built on the new entrance. At least 300 acres of Palestinian lands have been annexed as a result of this procedure which means that Palestinian landlords cannot have access to their land unless they obtain Israeli entry permits, he explained. He added that these procedures come as part of occupation plans aimed at the construction of a large tourism project in the district including construction of hotels and parks. A team of experts set up by the UN Human Rights Council to investigate the legality of Israeli settlements in the Palestinian territories will start work in August, a Palestinian official said Sunday. Ibrahim Khreisheh, Palestinian representative to the Human Rights Council, told the Voice of Palestine radio that the fact-finding committee will start work in August and present a preliminary report at the end of September. The committee will submit its final report in March 2013, he added. The Palestinian official called on Israel to allow the team to move freely in the occupied Palestinian territories. The UN Human Rights Council launched a probe in March under an initiative brought to the 47-member forum by the Palestinian Authority. Israel's ally the United States was the only member to vote against it. The council said Israel's planned construction of new housing units in the West Bank and East Jerusalem undermined the peace process and posed a threat to the two-state solution and the creation of an independent Palestinian state. Israel's Foreign Ministry condemned the decision at the time, saying: "The establishment of this mission is another blatant expression of the singling out of Israel in the UNHRC." The Ministry also vowed that Israel would not cooperate with the fact-finding mission will and will not allow its members to enter Israel or the Palestinian territories. As the team will not be allowed access to Israeli settlements, they are likely to have to gather information from second-hand sources, including media. Even if the investigators conclude settlements violate human rights law, US opposition is likely to stymie any attempt to impose any punishment on Israel. The team is being led by French judge Christine Chanet and includes Pakistani lawyer Asma Jahangir and Botswana judge Unity Dow. Jahangir. In July, the UN special rapporteur on human rights in the Palestinian Territories, Richard Falk, told a news conference that the acceleration of settlement building had "closed the book" on the feasibility of a two-state solution. All Jewish-only settlements in the occupied West Bank are illegal under international law. About 500,000 Israelis and 2.5 million Palestinians live in the West Bank and East Jerusalem, areas Israel captured in a 1967 war. 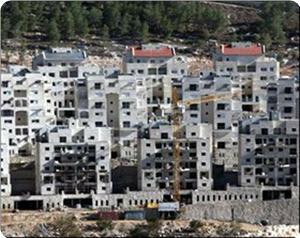 Israeli media sources revealed a scheme to build 232 new housing units in three settlements in occupied Jerusalem. Urshalim Hebrew newspaper stated that the Israel Land Administration had published last week results of four tenders to build in Galot Eilot neighborhood in Givat Ze'ev settlement, including the establishment of 180 new housing units. 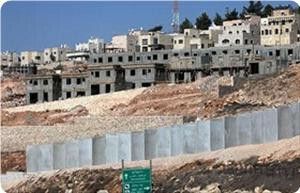 The plan to build this neighborhood has been prepared at the end of the nineties, but it stopped because of the outbreak of the second intifada. Meanwhile, Kol Ha'ir Hebrew weekly newspaper revealed that the Ministry of Construction and Housing issued a tender for the construction of 25 new housing units out of 900 units planned to be established in the settlement of "Har Homa". Israeli forces closed a road near Bethlehem in preparation for the demolition of Palestinian property. 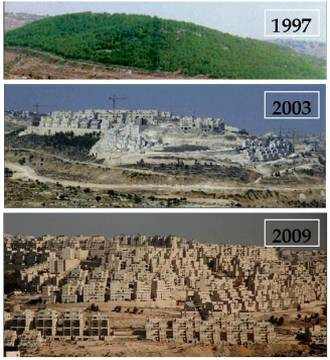 The Israeli military frequently confiscates land in the West Bank near the illegal separation barrier. On Thursday morning Israeli bulldozers began demolishing structures on privately owned land in Beit Jala, a community near Bethlehem, reports Ma’an News. Israeli trucks Thursday started moving caravans to an area near the town of Sinjil, north of Ramallah, according to mayor of Sinjil Ayyoub Sweid. Sweid noted the escalating settlers’ attacks, almost on a daily basis, targeting Palestinians and their property in Sinjil; the latest of which were an arson attempt of a Palestinian vehicle in the town and vandalism. Sinjil is surrounded with four Israeli settlements and military points, said Sweid, adding that a large part of the town’s land has been confiscated by Israeli authorities or settlers. Hamas Movement warned the Israeli occupation authority (IOA) over its plan to grant donations for establishing hotels and tourism facilities in settlements in the occupied West Bank. The movement described, in a statement released on Wednesday, such provocative move as a flagrant violation of international laws and conventions, emphasizing that all projects and plans of Judaization will never give the occupation legitimacy, and will never deter Palestinians from adhering to every inch of their land. Hamas also stated: "In order to face this Zionist serious escalation, we call on all Palestinian forces and factions to stand alongside in face of those decisions and to unite for protecting the constants and defending the rights. We also call on the Organization of Islamic Cooperation, the Arab League, and the UN organizations to intervene to put an end to such crimes and violations." Meanwhile, Hebrew press releases revealed that the Israeli government is set to approve offering governmental grants for building inside the Palestinian territories occupied in 1967, and specifically in Jerusalem. Haaretz newspaper stated on Wednesday that it is for the first time that the government approves such a project as the Israeli law, passed in 1959, provides for offering support and financial grants for tourism projects only in the Palestinian territories occupied in 1948. 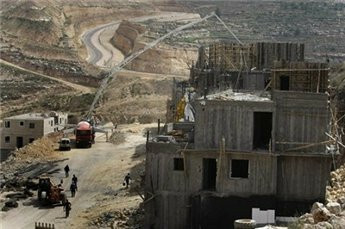 It said that the Israeli cabinet is set to approve grants for building hotels in West Bank settlements near Jerusalem starting from January 2013. The move comes amid Tourism Ministry projections of a dire lack of accommodation and hotel rooms in Jerusalem in upcoming years to absorb the increasing number of tourists coming to Jerusalem from all over the world. 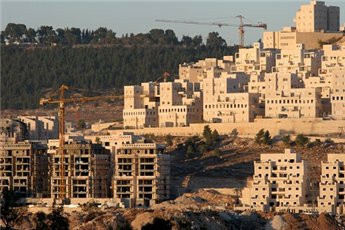 The chief construction center is set for the city of Ma'aleh Adumim, east of Jerusalem, being the closest to the city and in the Gush Etzion settlement bloc south of the city of Bethlehem. 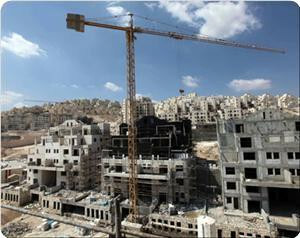 On Thursday, 2nd August, Israeli newspaper Yediot Ahranot reported that the budget allocated by the Israeli authorities to support settlement construction reached a one billion and fifty-nine million NIS in 2012. Daily newspaper reports that the special budget is paid to the settlements, in addition to the public expenses of the government, which are paid to settlers as citizens of Israel. There has been an increase in the budgets allocated for the settlers despite their percentage makeup of the total population of ‘Israel’ remaining constant in the recent years. The data issued by the Department of Statistics for the Peace Now movement showed that the statements of Israeli Prime Minister, Benjamin Netanyahu, dismissing the budget as small, are totally incorrect. According to the newspaper, in 2002 the number of settlers in the West Bank and Gaza Strip (before the withdrawal from Gaza) was 212 thousand settlers. They formed 4% of the total population, while in 2010, number of settlers has reached 311,000 settlers but the proportion of the total population has remained constant. 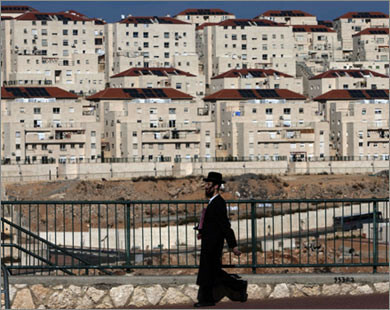 Foreign Ministry condemned the Israeli government's official policies of investing in settlements' building, said a statement released by foreign ministry on Wednesday. The statement followed a government report recounting that the Israeli official spending under Prime Minister Benjamin Netanyahu approval in settlements in the West Bank increased by 38% during 2011 to around $300 million. Such policies aim to prevent the establishment of a geographically contiguous Palestinian state, along with destroying the two-state solution and chances for peace, said the statement. It urged the international community, especially the Quartet, to condemn the policy, hold the Israeli government responsible for the peace process failure, work to immediately end the Israeli occupation and settlements activities and support the rights of the Palestinian people. ebrew media reported that the Israeli war ministry has recently decided to build 84 new housing units in Kiryat Arba settlement in the occupied city of Al-Khalil. The plan came as part of the privileges granted by Israeli premier Benjamin Netanyahu to the settlers following the Knesset's rejection of the law legalizing random settlement outposts. Hebrew newspapers described this government's decision as odd since Kiryat Arba is a single and isolated settlement and is not within the large settlement blocs. They pointed out that the settlement council in Kiryat Arba has recently launched plans and projects inside the settlement with the encouragement of the occupation government, as the minister of transportation has recently approved the construction of a new road in the settlement. Meanwhile, clashes between Palestinian civilians and the Israeli occupation soldiers erupted in the Fawwar refugee camp, south of Al-Khalil, on Tuesday evening after the occupation forces arrested on Tuesday a Palestinian youth, 19, from the camp and transferred him to an unknown destination after raiding his home and searching it.